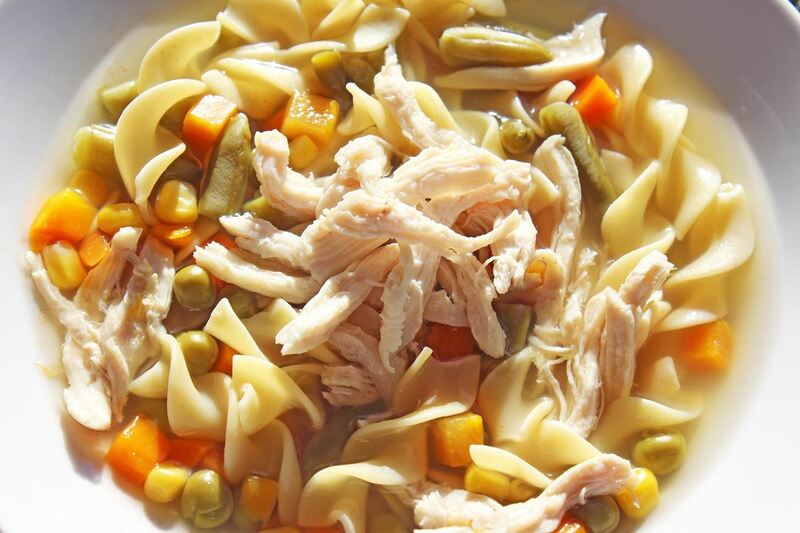 One of the best things about cold weather is soup, and there's nothing more comforting than a great chicken noodle soup. But I've often grabbed a can from the grocery store and found the chicken dried out and over-processed... and the noodles soggy and tasteless. What's worse: there's never enough of the stuff you like (such as the vegetables) and too much of what you don't (the nasty stuff I mentioned above). So one day, I decided to make my soup from scratch... without having to actually—you know—make soup from scratch. I'm sure that sounds confusing, but let me explain. 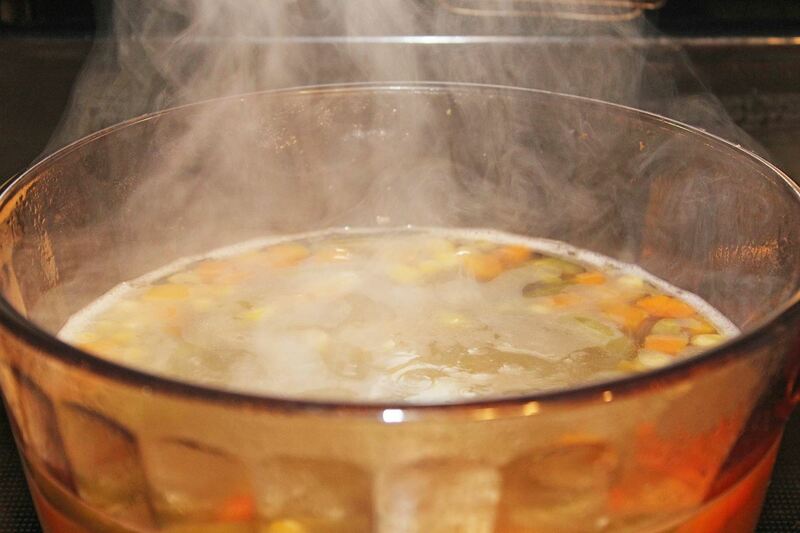 The most time consuming part of a great soup is the broth. However, I realized I wasn't mad at the broth and vegetables in my can of soup... it was just the chicken and noodles that I found offensive. So a hack was born! With these four easy steps, you will have the perfect chicken noodle soup: savory broth and veggies, fresh chicken, and flavorful noodles. Hold on—Are Canned Vegetables Healthy? According to the American Heart Association, any type of vegetable—be it fresh, frozen, or canned—is a healthy choice. Fresh vegetables are subject to quality and vitamin losses during transportation and storage, whereas canned (and frozen) vegetables are processed before these losses occur. Unless you're coming straight from your local farmer's market, canned vegetables can be just as healthy. They are also easier to work with and you can have a greater variety at a smaller cost. If you're using canned vegetables, just make sure to buy low-sodium or no-salt-added veggies, as salted veggies will throw off the saltiness of the overall soup. Place the whole chicken breast in a pot with a cover. Add enough liquid (1 part chicken broth, 1 part water) until the chicken breast is covered by at least half an inch of clearance. You can also add a pinch of salt and pepper to taste, if you'd like. Bring the liquid to a boil, then turn the heat low; cover and simmer for 7 minutes. 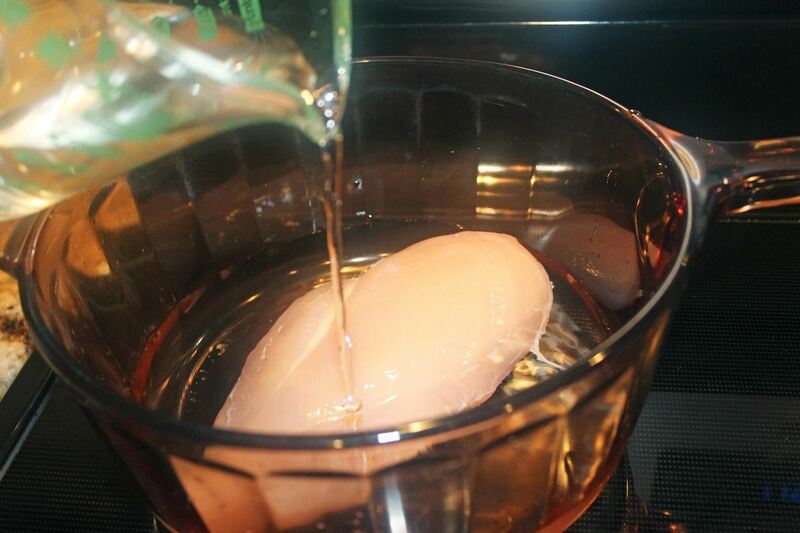 Remove the chicken breast and let it cool until you can touch it comfortably with your hands. Then shred it—either by hand or with forks. Heat a pot of water to a rolling boil. I find that a tablespoon of oil will keep noodles from sticking and a teaspoon of salt will add flavor while cooking—these are optional, but I recommend adding them to the pot. 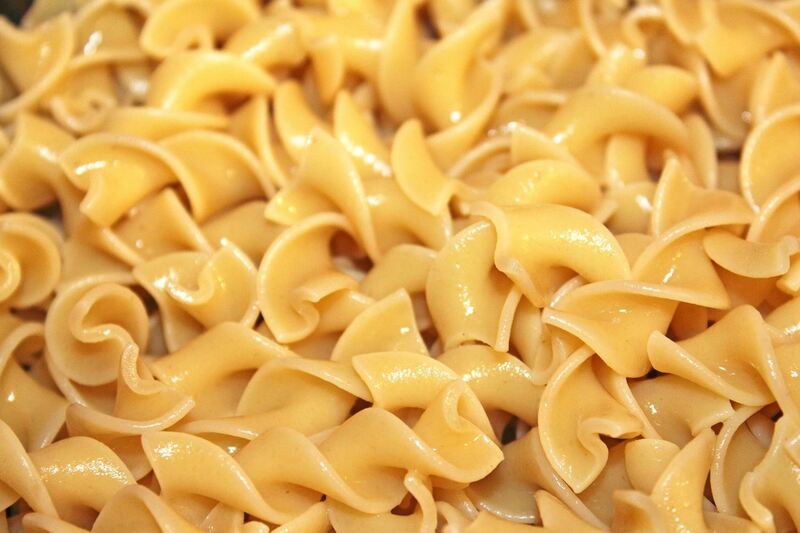 Boil the noodles, uncovered, for 5 to 6 minutes until al dente (firm to the bite) or just shy of al dente, since the noodles will continue to cook when you add them to and reheat your soup. 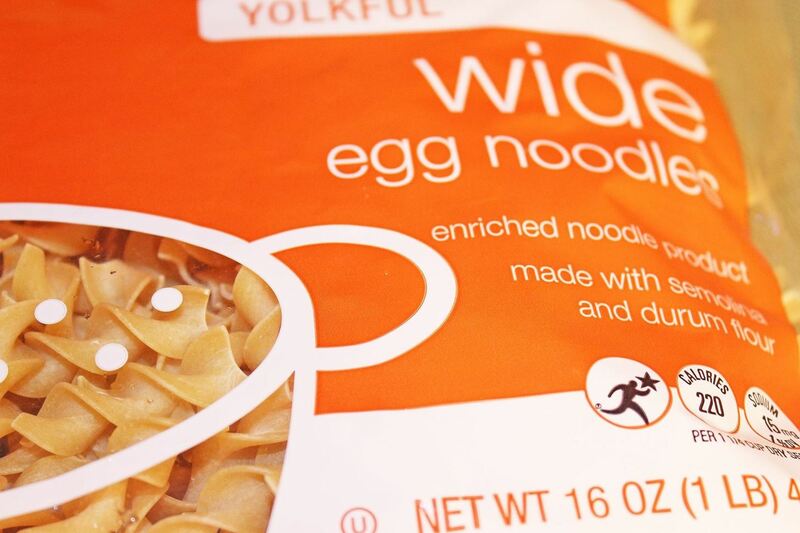 Drain your noodles and set them aside for now. Add remaining chicken stock into a pot (using the same one you used to boil the noodles is fine). Then empty the vegetables into the broth; if you're using canned vegetables, drain them first before adding them to the broth. Simmer the broth and veggies in medium heat for approximately 5 minutes. Don't forget to taste and season your soup. Salt and pepper and a few herbs (fresh or dried) should do the trick. Add your al dente noodles to your soup and let the broth simmer for 2 to 3 minutes, long enough for the noodles to blend with the flavors of the soup. The last step is to add your freshly poached chicken and let the soup simmer again for another 1 to 2 minutes. 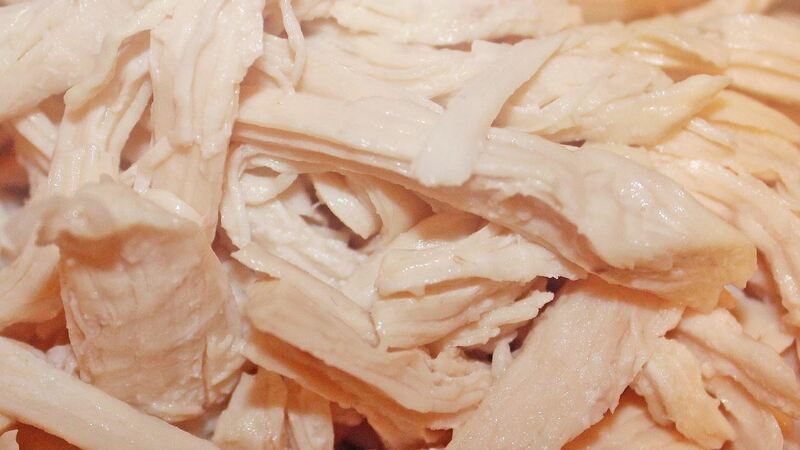 Poached chicken is so delicate, it doesn't take long to absorb the flavors of the broth. This steaming pot of yum will continue to taste just as fresh if you keep the chicken stored separately and add it to the soup with each serving. That way, the chicken never dries out or loses its tender consistency. What's your favorite veggie mix for chicken noodle soup? Do you have any herbs or spices in particular that you like to add to your own version at home? Let us know in the comments.